Does anyone know where I can get some real gyros from? I am tired of eating the sliced up meat similar to steak-umms. I did find one place off 15-501 by the Barnes and Noble and Wal-Mart that does at least cut it off the formed tube but would like to find a place to get them like I used to eat them in Europe. Try Tavornia Agoria? The family that owns Ale House owns it and they are Greek, so it maybe work a shot to go there. Shesh Kabob downtown on Fayetteville St does I believe. "Gyro" means different things to different people, so I'm not sure exactly what you're looking for. One Greek sandwhich place I would recommend is Neomonde Cafe. 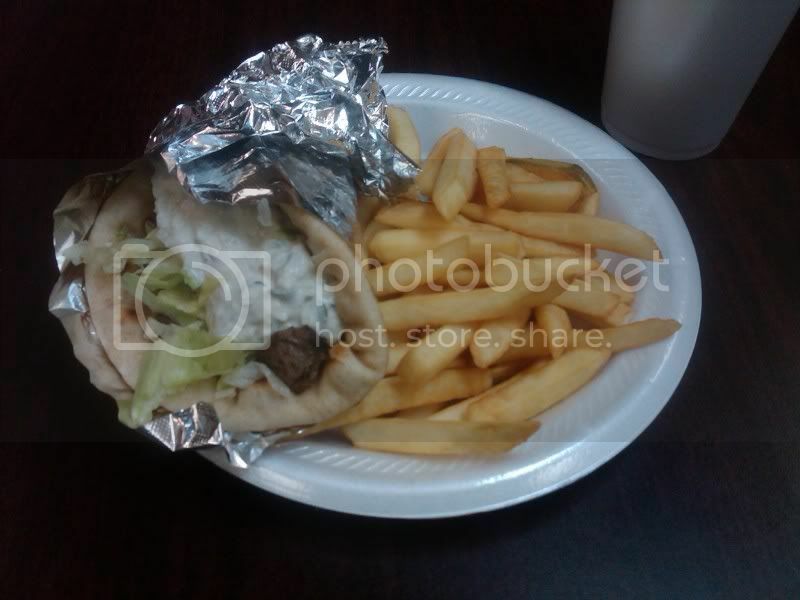 Greek Fiesta has several locations & theirs are very good. If you sign up for their newsletter they send out BOGO offers quite often. I second Charlie's Kabobs in Wake Forest. It's a fantastic, casual place. If you don't like your gyro, they'll eat it. For reals. I tried Charlies yesterday. Had the steak gyro that I ordered by mistake thinking it was the lamb gyro. But oh well, I took it anyway, and still got the lamb gyro to go. It was good. The cucumber sauce had a little more zing to it and seemed scratch made versus what I usually get. The feta cheese was little crumbles which reminded me of "Greek Cusine" that I hate. I like the real chunky kind. The steak was good though and the choices and atmosphere was great and much better than I am used to. Good customer service too! Taza Grill all the way baby!